You Lucky Dog by Debra Finerman has an expected publication date of June 6th, 2018. What do you do when you’re attending your own funeral but can’t tell the love of your life that you’re there, perfectly alive? Your wife doesn’t recognize you because you look slightly different. Well, more than slightly. You’re now a dog. About the author: Debra Finerman is an American writer who lives part-time in Paris. Her next book will debut in June 2018. 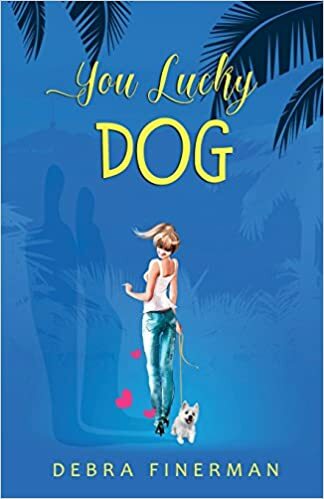 YOU LUCKY DOG, is a humorous novel that asks the question, what if a man’s soul transmogrifies into his dog’s body when they both suffer a car crash? Jake the man dies but Jake the dog survives and the result is a funny and poignant story of love and loss and identity. The surprise ending will keep readers wondering. YOU LUCKY DOG is a lighthearted departure from her previous two historical novels. SHADOW WAR- The Resistance Fighters’ Literary Club was inspired by the plaques affixed to walls and bridges throughout Paris dedicated to the brave, often painfully young Resistance Fighters who died on the spot, shot by Nazi patrols. During research for this book, she traveled to the Imperial War Museum in London and to Resistance Museums in many regions of France. Her journeys led her to meet former members of Resistance groups. Espionage is a familiar subject for her, as her uncle was a CIA agent for many years. Her first novel MADEMOISELLE VICTORINE published in 2007 by Random House Three Rivers Press has been translated into six languages worldwide. She is a former journalist for such publications as Capital Style, The Hollywood Reporter monthly magazine, Beverly Hills Today and Beverly Hills Magazine. A graduate of UCLA, she earned her academic degree in Art History and Connoisseurship at Christie’s, New York.